Just a woman that has many books to read and many books to be bought and just to have books. Oh the books that have yet to be read by me! The Curious Incident of the Dog in the Nighttime! Hello everyone and how's it going?! I hope you all are doing awesome and are being awesome! I'm doing awesome myself! 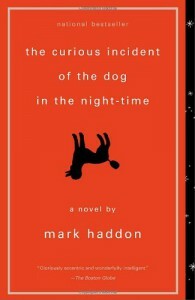 I am here to do a review on the book The Curious Incident of the Dog in the Nighttime by Mark Haddon. I'm excited to be doing this review because of how it's set up. 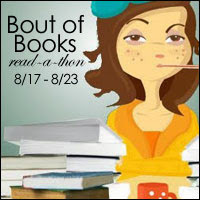 A quick blurb the story centers around a character name Christopher John Francis Boone, who happens to be Autistic. He had happened upon a dog in the neighbor's yard and which turned out to be murdered. He was accused of killing the dog, but was let go with a warning. He then decides and against his father's wishes to take it upon himself to solve the case of who killed the dog. I just love this story, I love what was brought into it. How the author had handle a character with Autism was fantastic and you felt what Christopher felt. I don't personally know anyone who has Autism, but I'm subscribed to a few channels on YouTube of families who have someone with Autism. It's very educational and eye open. The book goes into how he soothes himself by stemming, which frightens people who don't understand, how smart Christopher is, how he views the world differently, how he proves people wrong by pushing himself out of his comfort zone; I like that the author included that and to face the world outside of what Christopher knows. My heart broke for Christopher many times while reading. I got so mad at a lot of people and really wanted to just comfort and protect Christoper. I would get annoyed at people a lot of times and mostly towards his dad. I love the journey that Christopher does and how he handles situations that is new. He did managed to get to London by himself. I felt like a proud and frighten mama for him lol! I am so glad that I had gotten and read this amazing read. I would most likely and highly recommend this read to everyone. To get a small glimpse of how a person with Autism handles the world. This book is also apart of the PBS's 100 top American Reads and up for the number one spot. This book needs to be added to everyone's library to get get an understanding! I hope that you all enjoy this little review on such an amazing and powerful book. I'll be back next Friday with a brand new post. Until then have an awesome day/night!